A new space race is imminent as companies compete to be the first to launch space travel between cities. By 2022 “nowhere on Earth would be more than an hour away”. The Beastie Boys lyric “intergalactic, planetary” could become reality with two private spaceflight companies planning to introduce super fast space travel between cities. In the final months of last year, both Virgin Galactic and Elon Musk’s venture SpaceX announced their ambition to use supersonic air vehicles to ferry globe-trotting travellers much more quickly than is currently possible. “We think that something… in the Mach 3 to 5 space is really interesting, because you can really radically shorten those long-duration flights,” said Virgin Galactic CEO George Whitesides at The Economist magazine’s global space summit in November. The speed of sound (Mach 1) is approximately 1246 km/h at room temperature. The now defunct Concorde peaked at just over Mach 2, or twice the speed of sound. Whitesides’ commentary followed Elon Musk’s statement during his keynote speech at the September meeting of the International Astronautical Congress in Adelaide that he might use his ‘BFR’ Mars colonisation rocket for Earthly travel. “If you build a ship that’s capable of going to Mars, what if you take that same ship and go from one place to another on Earth?” he asked. He went on to theorise that future commuters could make the trip between New York and Shanghai, or Los Angeles and Tokyo in less than 40 minutes. Nowhere on Earth would be more than an hour away, he said. According to Musk, BFR could be rocketing passengers around the globe as early as 2022, and charge a similar price to full-fare conventional aeroplane tickets. However, both companies have significant obstacles to overcome before they can bring their dreams of commercial space travel to fruition. As Musk admitted in his speech in Adelaide, he still has to work out how to pay for the BFR, although he has high hopes for a new deep cryo liquid oxygen tank currently under development. Made of carbon fibre matrix, the tank has been tested to its design pressure of 2.3 atmospheres and beyond “to see what it took to break it”. The tank is 1000 metres cubed – more pressurised volume than an A380 aircraft – and holds 1200 tonnes of liquid oxygen. Virgin Galactic has also come up against some major setbacks, including its first six-passenger SpaceShipTwo Plane’s fatal test flight in 2014. The company is focusing on its goal to perfect its second SpaceShipTwo design for short suborbital space tourism. 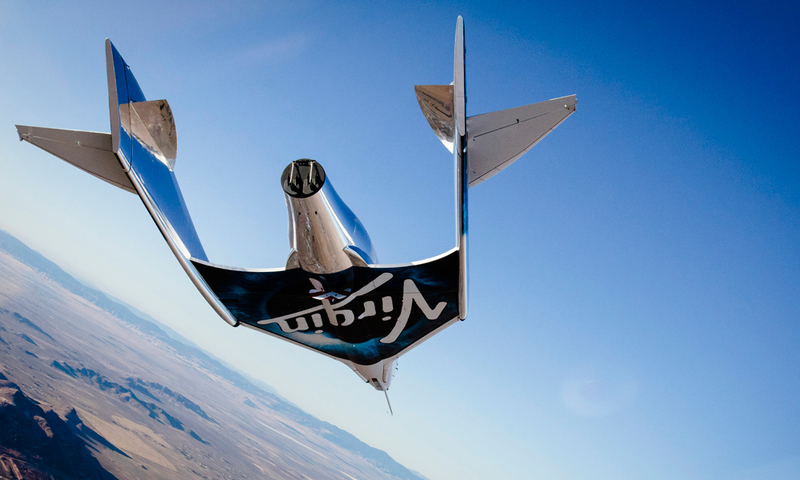 Whitesides has declined to set a date for when Virgin Galactic’s passenger flights will start. “We’ll fly when it’s ready; we’ll fly when it’s safe,” Whitesides said.